Back from his treatment at an Ayurvedic hospital in Bengaluru, Kapil Sharma is in Mumbai to promote his upcoming film Firangi. The comedian will be shooting a song for the film which is an unplugged version of 'Saheba Russ Gayi Hai'. He will lend his voice for the song too, reports Mumbai Mirror. 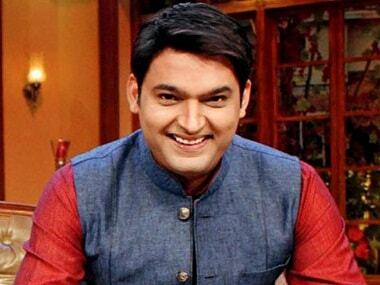 "Kapil really liked the song and agreed to sing the unplugged version. The original version is sung by Rahat Fateh Ali Khan, which will feature in the film... The plan is to shoot on a stage with mood lighting and give a Coke Studio-kind of a feel to the video," said director Rajiv Dhingra to the daily. The Firangi team is yet to settle on dates to record and shoot the song. Dhingra is currently involved in the post-production of the film, which is touted to be a light-hearted romantic comedy set in the time period of India's freedom struggle. A huge village set was erected on the banks of the Sutlej river, where significant portions of the film were shot. The Kapil Sharma Show went off air temporarily, with multiple sources including Kapil Sharma and the channel itself stating that it was the comedian's health that had stalled work. Recent reports suggested that the show will be back only in 2018, as his health and schedule only allow for one comeback this year — Firangi, which is due to release in November.